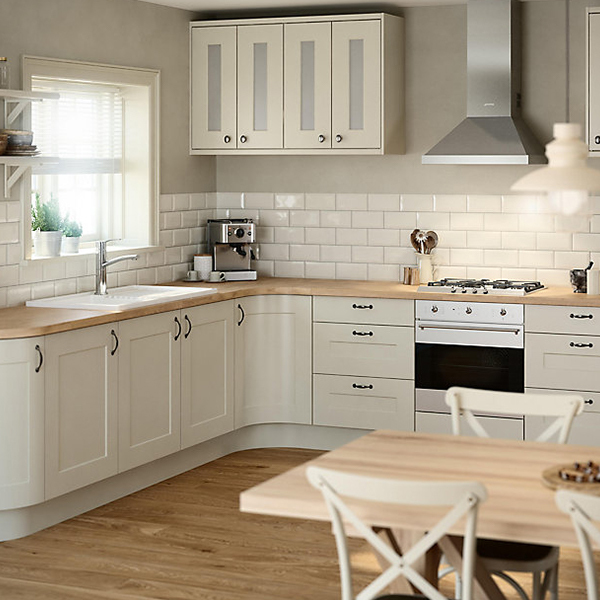 A common kitchen layout in many homes is the L-shaped kitchen, consisting of two adjoining runs of units, often referred to as the legs of the L. These can range in length on either side according to the space you have available, and are suitable for both large and small rooms. 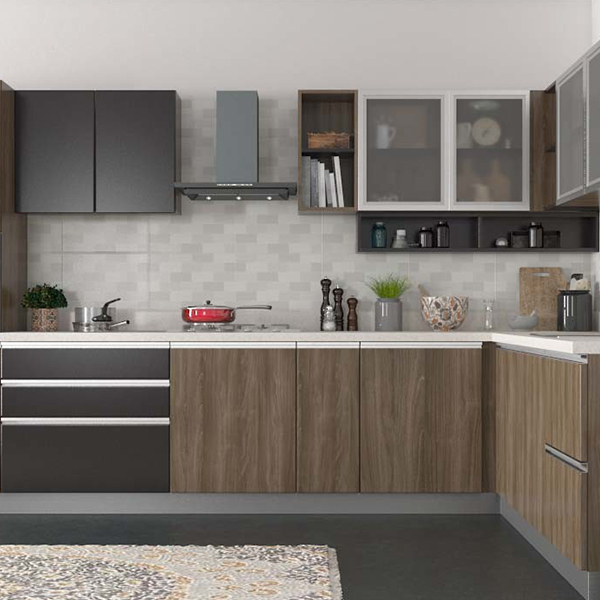 This is one of the most efficient kitchen layouts for the modern home as it offers an easy and efficient workspace and allows appliances and cabinets to be installed along right angled walls with an open area in the centre. A carefully planned L-shaped kitchen will provide an organised and efficient space and because you can separate work zones in this layout, they can easily and comfortably accommodate two people at the same time. 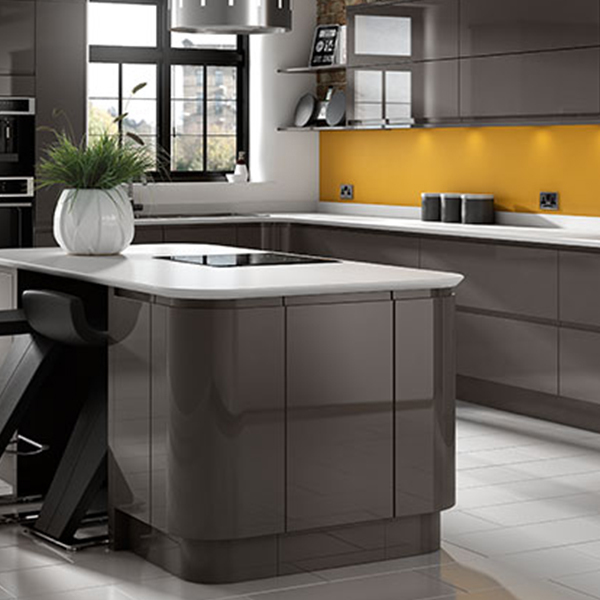 As a result, an L-shape kitchen, particularly if it is open plan, makes for a very sociable arrangement. If you are entertaining, your guests can carry on a conversation with you and even wander safely into the cooking area. The only downside is if you don't have an island unit, you're likely to spend time facing a wall while preparing and cooking food. Whether or not this is an issue is all down to personal preference, so consider whether this will bother you, and whether a different layout might better suit your needs.